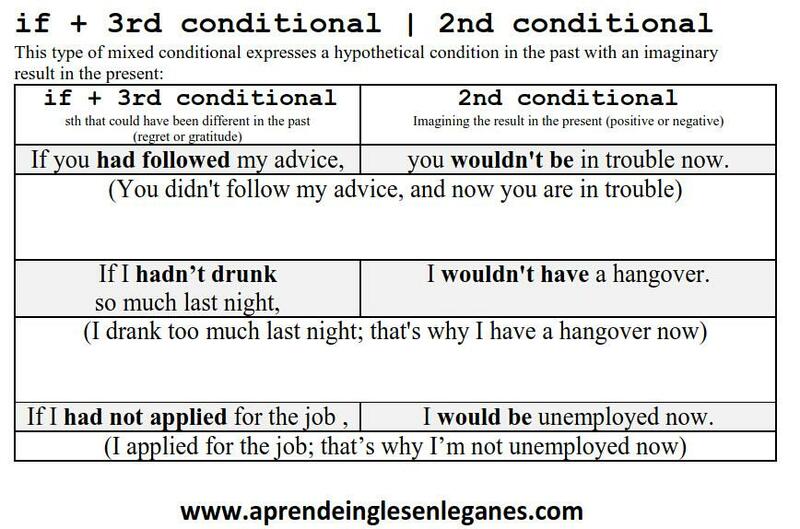 We can sometimes mix unreal conditional sentences. 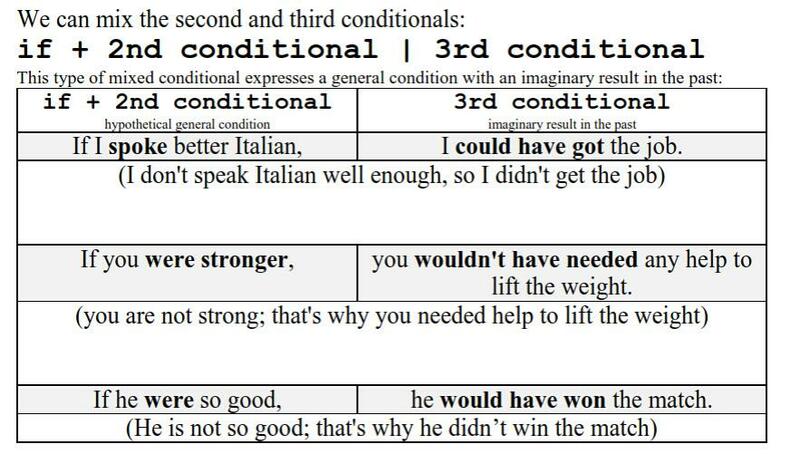 To form mixed conditional, we are going to mix 2nd and 3rd conditionals. One part of the sentence is about the past the other is about the present. Have a look at the tables below.